So this salsa I originally got from PW, but then tweaked to my own liking. It's got a bite, but it won't make your mouth start on fire. Feel free to add more jalapeno. 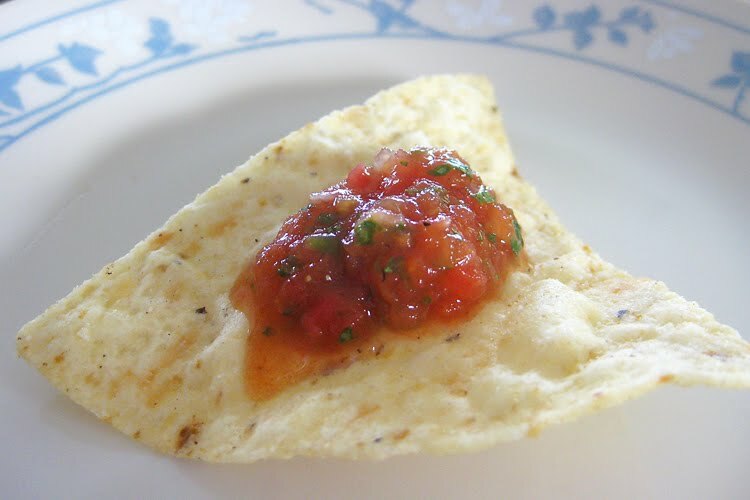 But be warned, this salsa is highly addictive. And if you happen to be pregnant while eating the entire batch, you'll have heartburn for days afterward. At least that's what I heard. Combine everything into a food processor or blender. Pulse until desired consistency. I like it smooth. Refrigerate.